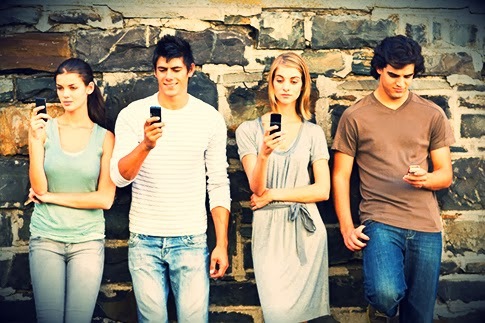 Discovery Learning, Inc. | Blog: Who's Really the Problem, Gen X or Gen Y? Who's Really the Problem, Gen X or Gen Y? Once again, we see another study published bashing Gen Y. The Ernst & Young findings suggest that 18 to 32 year olds are entitled, not hard-working and not good team players. Media outlets including Time, CNBC and Money pick up and amplify these studies and the beliefs about Gen Y are reinforced. We tend to believe what we see in print. I’m a Boomer and I’m just not buying it. I read it in the business press but I don’t see it in my day to day interactions with my own employees or my own children. More important, there’s solid data to support my disbelief. Let’s look at how Gen Y and Gen X (33-48) influence their co-workers. The Corporate Leadership Council has identified the ability to Influencing co-workers as the single most important competency for global leaders. So, Let’s look at Gen Y from the this perspective – How do they influence and is it different from Gen X or Boomers for that matter? We’ve found significant generational differences in how people influence others. But, this data does not paint a picture of entitled, lazy, self-centered twenty-somethings. When it comes to influencing others, Gen Y is significantly less likely to use asserting as an influencing style than Gen X. In fact, they most resemble Boomers in their willingness to use assertiveness as a strategy for getting their way. Gen Y and Boomers are more likely to engage in negotiating as an influence style than Gen X. Gen Y and Boomers are even more likely to attempt to bridge with co-workers when promoting their ideas than is Gen X. So the data says Gen Y is less assertive, more likely to negotiate and more likely to bridge with coworkers. Gen X is more assertive, less willing to negotiate and less likely to bridge with co-workers when promoting their ideas. When it comes to influencing Gen Y actually resembles Boomers more than any other age group. So where do these negative ideas about Gen Y coming from? Possible answers: 1) Surveys that question a disproportionate number of Gen X workers and base their findings on that age group. Gen X is different than Gen Y but does that make them better? 2) The studies conducted in top-end firms such as Ernst and Young prefer to hire graduates from elite schools. Maybe they are more entitled but are they representative of their entire generation. Everyone take a deep breath. Stop perpetuating these beliefs that Gen Y is somehow “less than” their older and usually senior co-workers. Maybe Gen Y is different but different does not have to be negative. Blogs and tweets that make good copy and attract attention can also reinforce inaccurate perceptions. Take what you read with a grain of salt and keep an open mind.